Are you a small business owner who is looking for online marketing training but are put off by all the technical stuff you think you need to know about? First of all there are no PowerPoint slides in sight. This training is not about me telling you a whole bunch of stuff that you then need to go home and put into practice. No, my training is implemented during the sessions. You get to actually do exactly what I am talking about right there and then in your business. Secondly, I’m not into large groups. I don’t know about you but I don’t feel I get the full benefit of training if there are too many people in the group as there are always those who will monopolise most of the time and attention. My training is done in groups of no more than 4 people so that everyone gets ample time for one-to-one support. You don’t get that from most other online marketing trainers. That is because they are more interested in how much money they can make rather than how much value they can give their trainees. A lead magnet that attracts your ideal customer to your offer, product or service. An online marketing strategy that works for you 24/7 and that you don’t need to spend more than 20 minutes a day on. That’s not bad for just £350 is it? Imagine having your business promoted on Google, Bing, Yahoo, Facebook, LinkedIn, Instagram and pretty much anywhere else you want for free. Wouldn’t that be great? Imagine being able to attract new leads every day without having to do anything. That’s not a dream, it’s a reality. It’s what most big businesses do every day, that’s how they have become big businesses. So you need to do the same. Okay, so what if you don’t know the first thing about social media? That’s fine, you will be shown everything you need to do to be able to manage your strategy. What if you don’t know the first thing about marketing? That’s okay too as the whole point of this week is to teach you a strategy that will not only work for you but will look after and run itself once it’s all set up. What if you are a complete technophobe. That’s great. 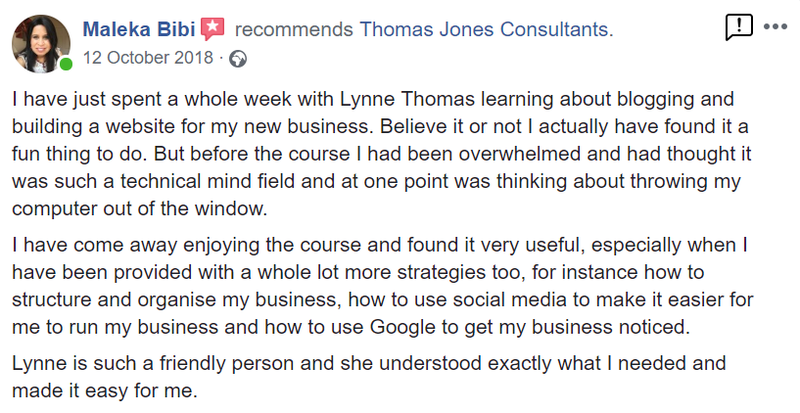 I have dedicated my whole business to helping those who are “technically challenged” to grow their business online and to develop and hone the skills they need to keep it growing. It doesn’t have to be as complicated as you think! What if you can’t make it for the full 5 days? Well that’s okay too. You can either make up your missed day by doing a couple of extra hours on the days you can make it, or we can talk about alternatives that would suit you. Like I said, it’s small groups and value led, I will do whatever it takes to help you succeed. Does online marketing really work? Well you’re reading this aren’t you? I spent an hour or so writing this blog post and shared it across social media as well as letting Google know I had published it. 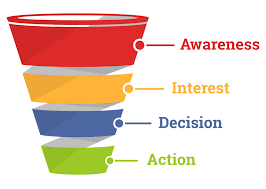 You are no doubt looking for someone to help you with online marketing training or general business support and here you are. I have been able to share what I do with you and hopefully convince you that I am the best solution for your problem. I think that answers that question don’t you? You can book your free place right here. I hope I have been able to demonstrate why my online marketing training is different from most other training providers. I also hope I have been able to persuade you to come and join me for my amazingly fun and friendly 5 day course. If you’re not quite ready to take the plunge yet, maybe you would like to take advantage of some of my free resources to help you at least get started on your online marketing. You can access them all here.